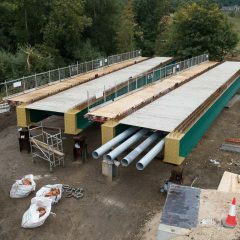 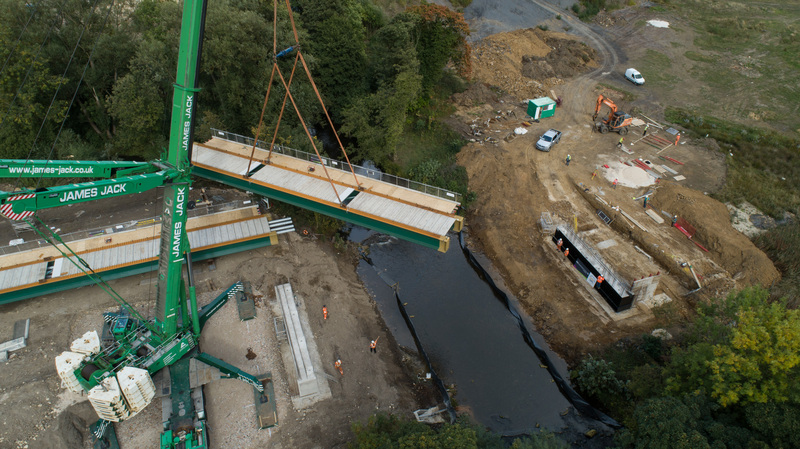 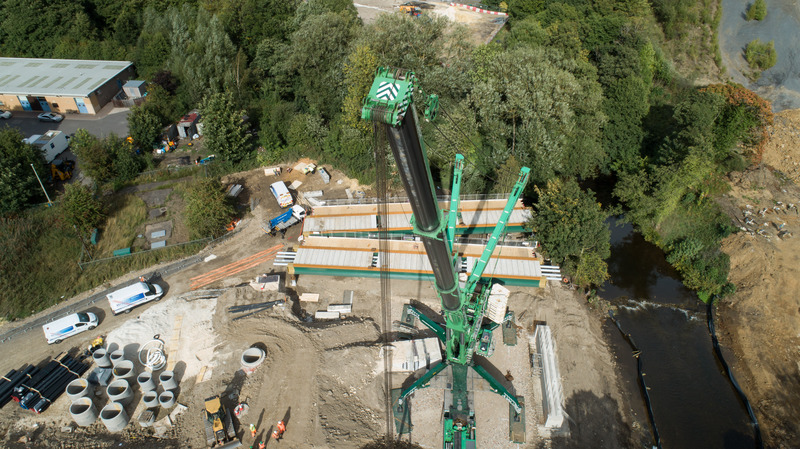 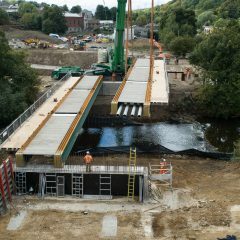 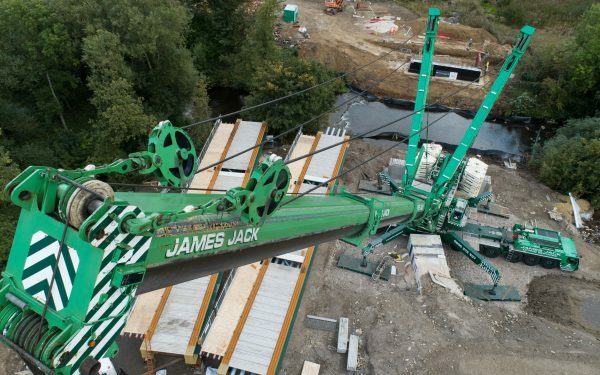 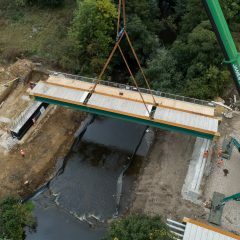 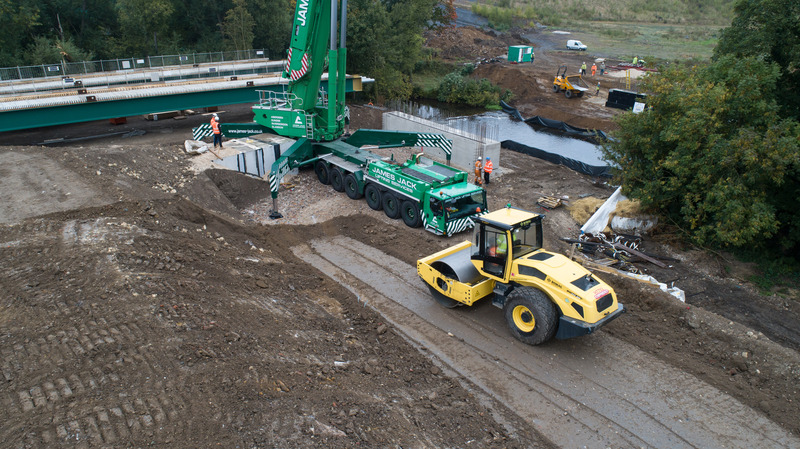 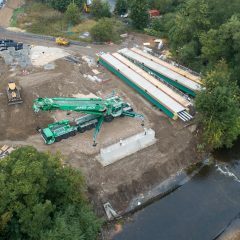 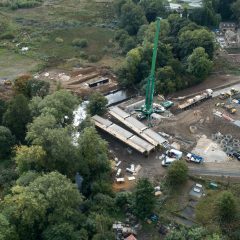 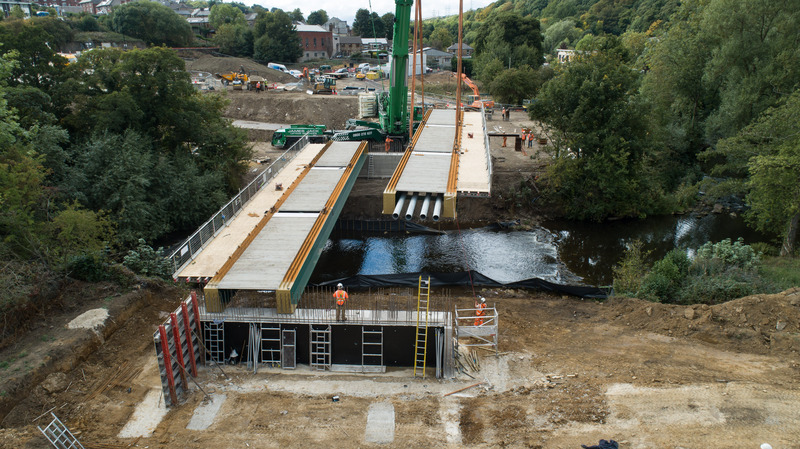 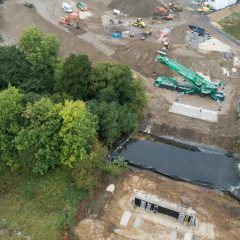 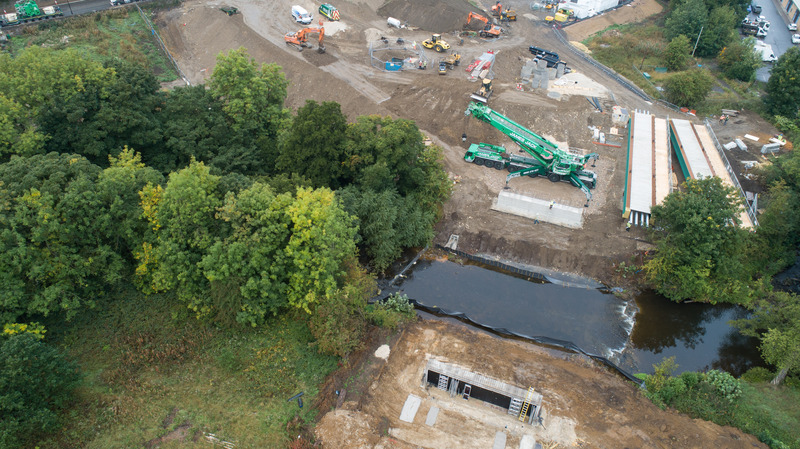 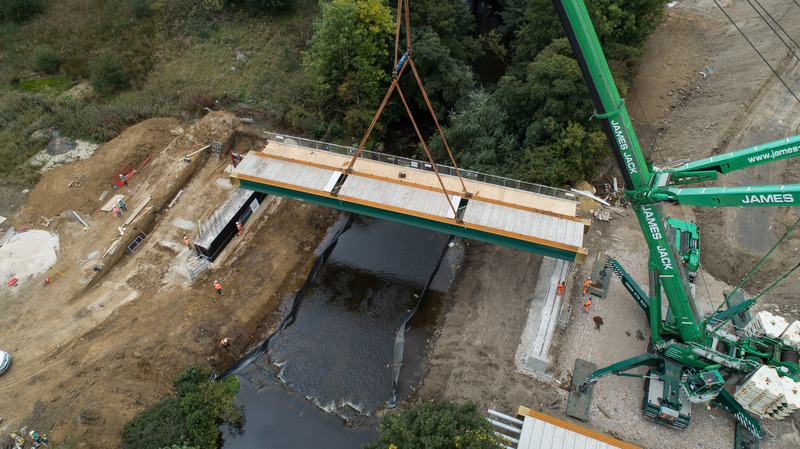 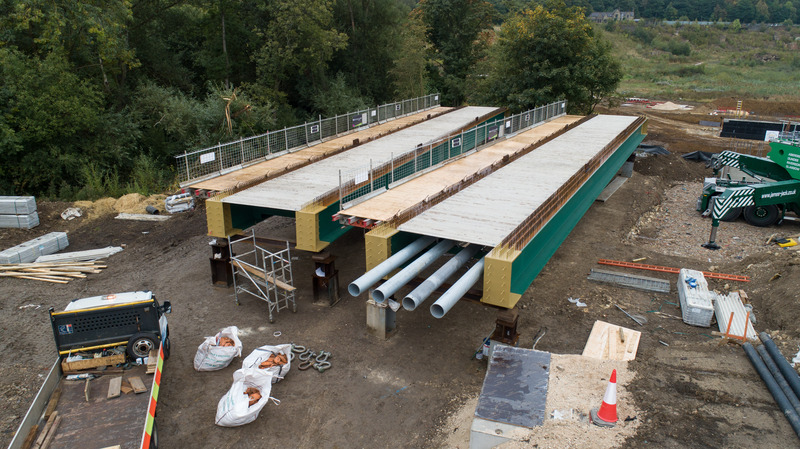 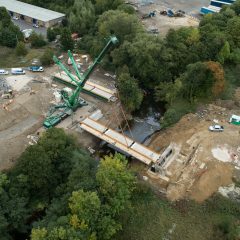 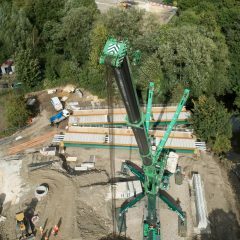 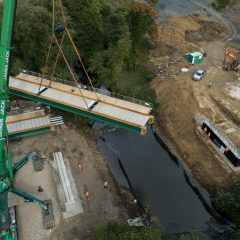 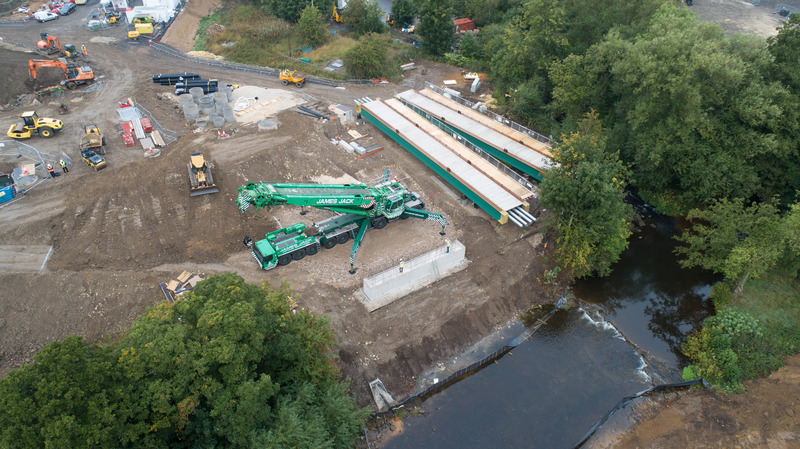 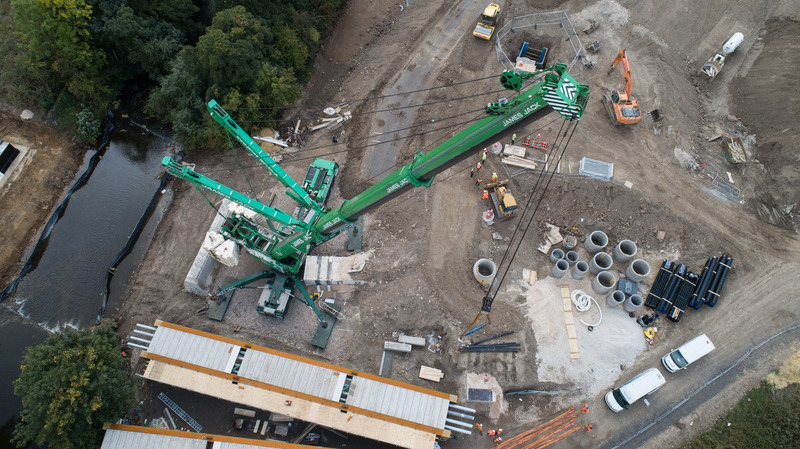 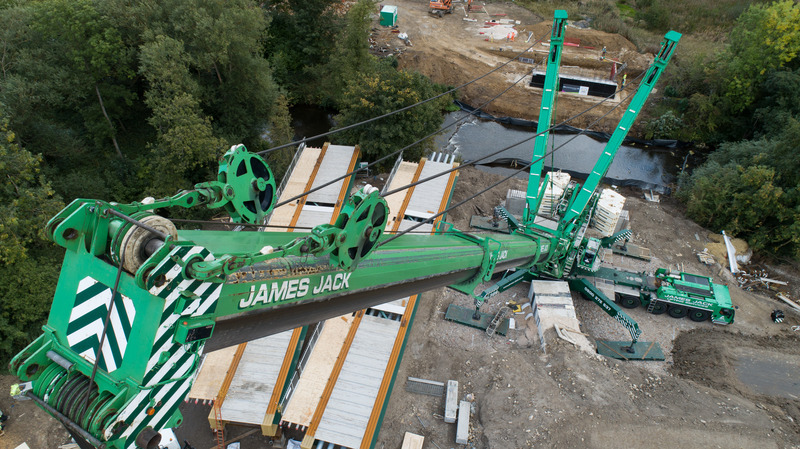 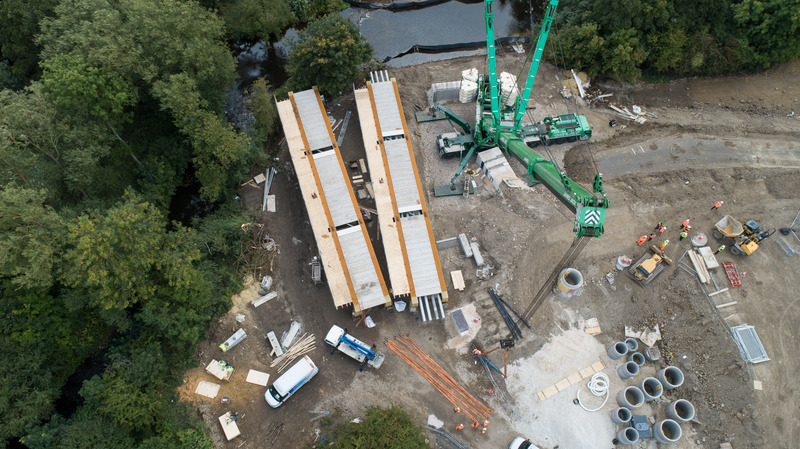 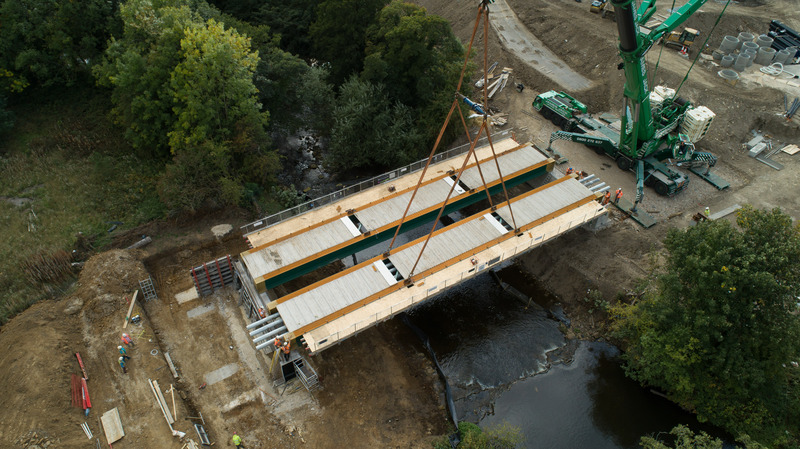 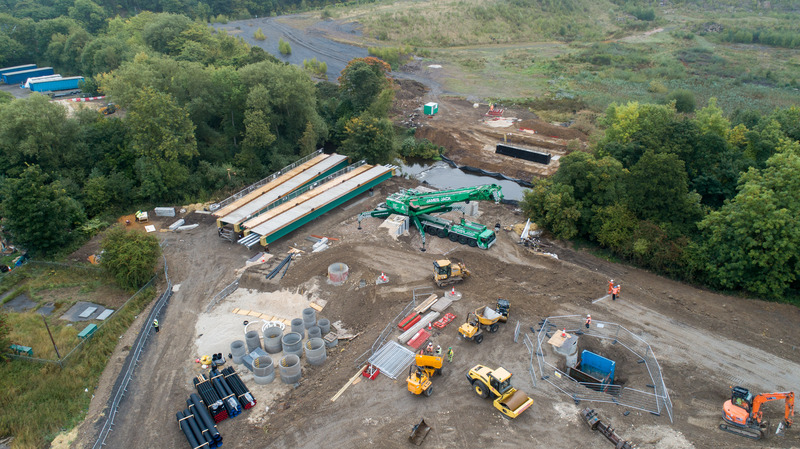 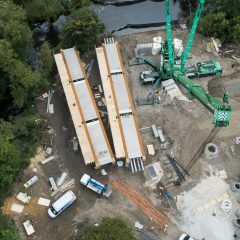 This is an aerial video I’ve done with one of my drones of two bridges being placed over a river in Deepcar, North Sheffield for ESH Construction in preparation for a new housing estate being built on the site. 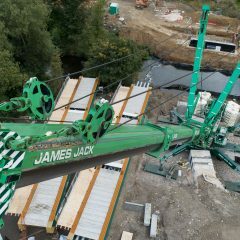 Aerial photography and aerial video are fast becoming the dominant part of my business although I still do a lot of ground photography / video for clients. 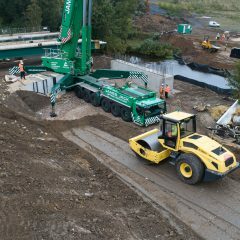 This can be anything from product shoots to headshots, construction and a whole host of other interesting topics. 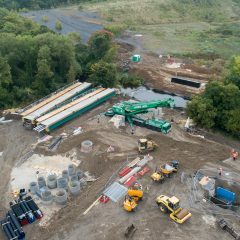 This is what makes my job so diverse and interesting. 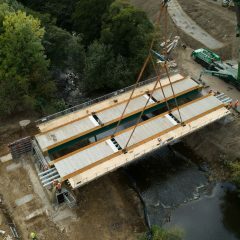 I’m very rarely doing the same thing two days running. 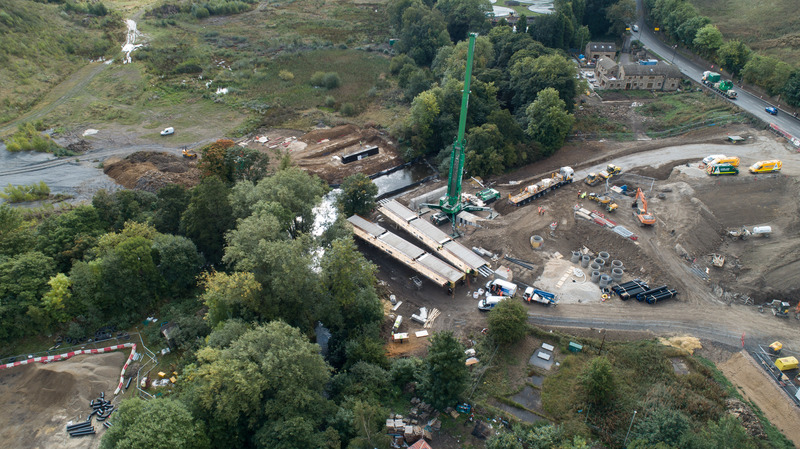 I took a lot of aerial photographs while I was in the air and there is a gallery of those below. 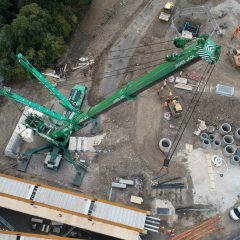 My drones are so good that I can flip from stills to video on the fly and change camera settings as I go along without the need to land and do it. 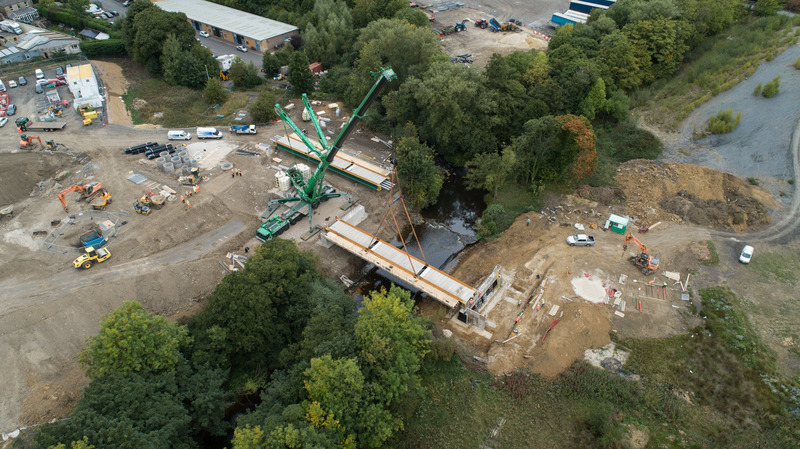 Do you need aerial photography or aerial video for your business?